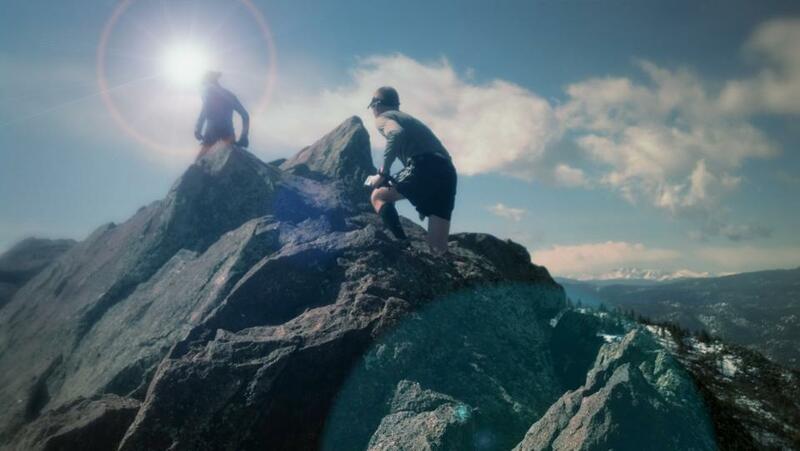 The Spry, by UltrAspire, is a race vest was inspired by ultra running great Krissy Moehl. While she prefers to run and race with handheld water bottles, she also recognizes the need to carry the essentials. The result has been the Spry race vest. This sleek vest offers the traditional vest pockets up front; one zip with trash collection pocket and a cinch mesh pocket on the other side. 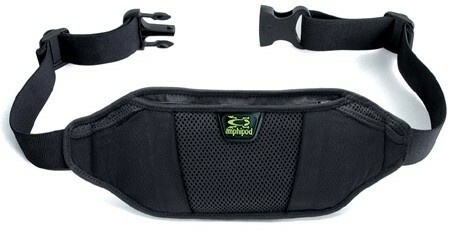 Additionally it offers the standard UltrAspire pill pocket on the left strap, a must for all vests nowadays. In the rear, unlike other vests, the Spry offers only a single large storage pocket with magnetic closure. What makes the 2013 version different from the original is the addition of a 1 Liter bladder that fits in the rear pocket, that’s it. TrailAndUltraRunning.com tested the new 2013 version and since I own the original I figured I’d do a side by side analysis. Without making this review too short let me just say that the addition of the bladder for longer, unsupported runs is perfect. I actually let my wife wear it in a local half marathon and she was able to run the entire race without having to stop at a single aid station. 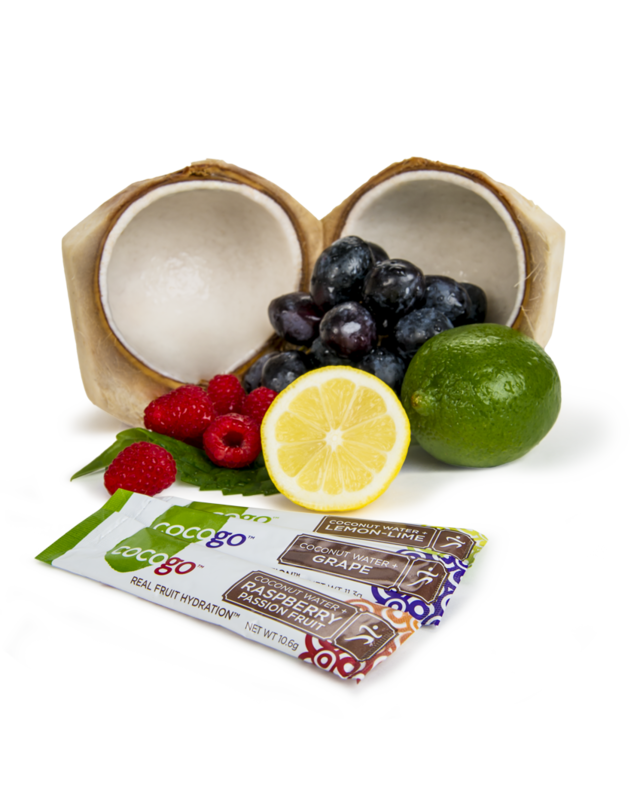 The convenience of the bladder and function of the vest allowed her to shave several minutes off her overall time because she didn’t have to stop among the masses trying to get access to gels and water cups – she had everything she needed. Like Krissy, I prefer to race with a handheld water bottle. Recently I raced the inaugural Bryce 100 mile endurance race. Located in central Utah and at high elevation I assumed I could run the entire race with just one water bottle. Because I thought I’d be running a little slower than normal – as I was running with a friend who was doing his first 100, start to finish, and had to carry a Sony Action Cam – I figured I’d better throw an empty 10oz water bottle in the back, just in case. I wore the vest for 100 miles and nearly 27 hours over tough terrain, long climbs, and bomber descents. For 30 miles of the race I had the 10oz in the rear filled, but never used it. And never noticed it was there. The front zip pocket carried my camera and I was able to fit three gels and a packet of Chomps in the mesh sync pocket. In all that time and distance the vest was never uncomfortable. What makes it really great is that because it is so streamlined, when I need to remove and wear my jacket and gloves during the night I was able to do so over the vest. The convenience of being able to zip and unzip my jacket, but still have access to the vest was incredible. While others had to fumble through cinch straps to get to their jacket, mine was on top. That made my whole race through the night more efficient. It boils down to this; I’ve used and tested a lot of vests in the last few years and I can say with certainty that for racing this is the best vest on the market. 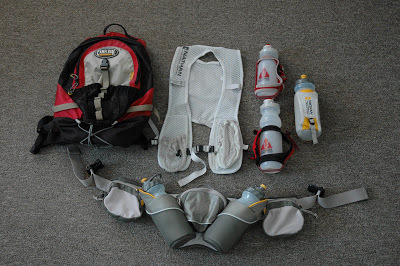 Used with the 1 Liter bladder, combined with handheld water bottles ,or carry just an extra in the front mesh pocket and the convenience and weight of the Spry makes it the most efficient race vest on the market. I would recommend it to anyone. 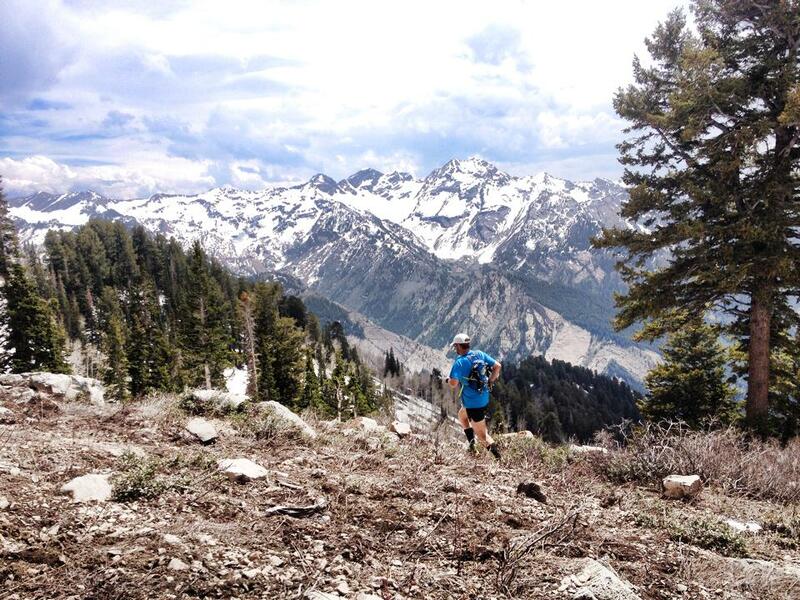 I wore my Spry vest at Speedgoat, Wasatch, Buffalo Run, and more…LOVE it. Just the right amout of storage, weighs literally nothing, and I carry bottles. Perfect. I aspire to try an UltrAspire! Love my Inspire. Was thinking of trying a vest. thank you for pointing out that you can wear it comfortably under a jacket – that is a great selling point. I’ve been using the Salomon s-lab sense hydro handhelds in my half marathons – 5oz w/ gel on one hand, 8oz of water on the other. It’s been great, but I was wondering how a hydration pack might work in terms of lessening arm fatigue. How hot does it make you? And what’s the valve like? I’ve never used a pack before, would have to practice of course. I don’t need a lot of fuel/water, but I don’t want to have to stop at the aid stations when I’m trying to hit a PR (plus they never have my gel and I don’t use sports drinks). Will have to check this out. I have it and love it!!! Have you tried the UD AK vest? I like being able to store my bottles easily to free up the hands when scrambling or using poles. I’ve been considering buying a vest minus a bladder, but this small one is really attractive. I’ve been wanting a new vest, the size of this one seems perfect. Thanks for the review. Nice looking and sounding vest. Does it come with 1 liter bladder or is that sold separately? 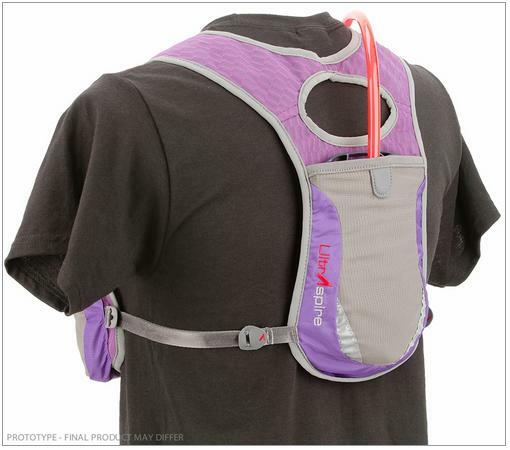 How would you compare it to the Camelbak Marathon Vest? The 2013 version comes with the 1L bladder. And it doesn’t compare with the Camelback Marathon vest, it’s miles ahead. It stands out in function and comfort years ahead of what Camelback has produced. Because of it’s sleek build there isn’t really another brand model that is comparable. The closest thing might be the Ultimate Direction AK racing vest, but even that is quite different. 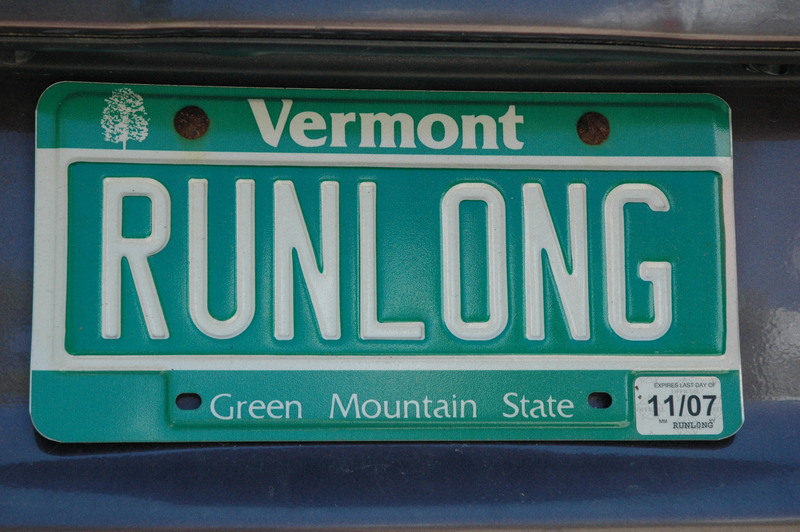 Looks great – if I was doing runs that had more support I might consider it! Kevin, I may need to post a picture of my “collection” somewhere. It’s unnecessarily extensive. Ha. Of all my vests though, I truly believe this one is a must-have. I think my next bag will go away from Salomon and over to ultraspire.